In this world of constant leaks, Xiaomi’s Indian launch event for the Redmi Note 7 caught us slightly off-guard. 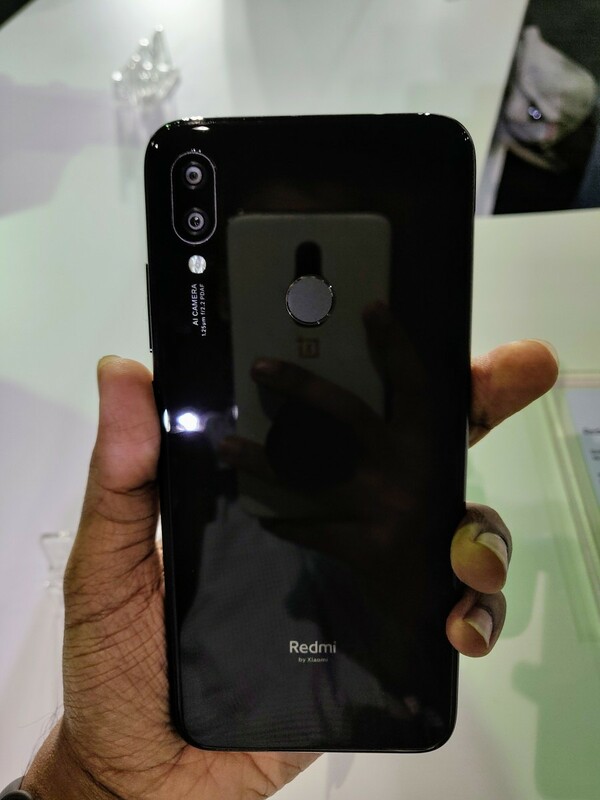 Leaks and information building up to the event indicated that Xiaomi would be launching two devices in India, but one of these devices would be sporting a 12MP dual rear camera setup instead of the 48MP rear camera as was seen on the Chinese Xiaomi Redmi Note 7. 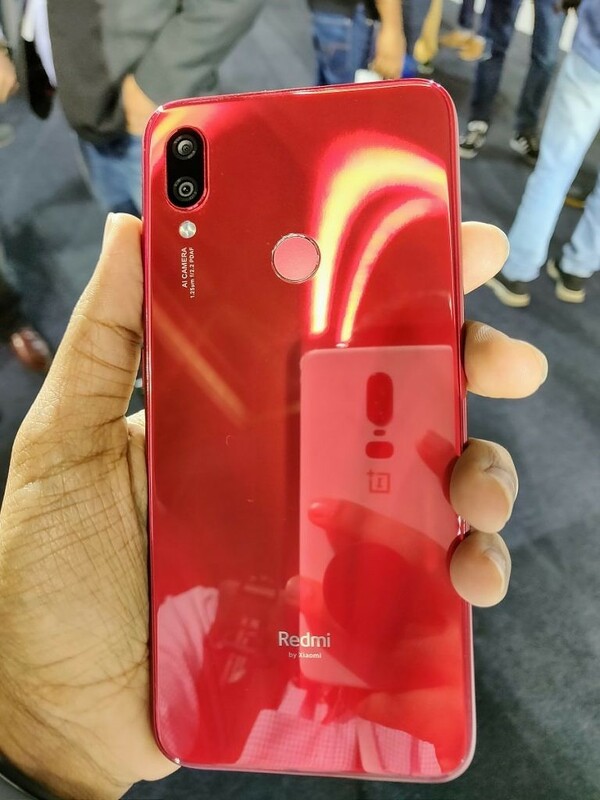 This led us to believe that Xiaomi would be launching the Chinese Redmi Note 7 as the Redmi Note 7 Pro for India, since the Xiaomi Redmi Note 7 Pro with the 48MP Sony IMX586 sensor had not launched in China yet. By deferring the Chinese launch of the Pro variant and prioritizing India as the stage for the global launch of the device, Xiaomi sent out a clear message to its competition: Xiaomi really means business in India. Xiaomi’s Redmi lineup is the company’s most successful product lineup in India. 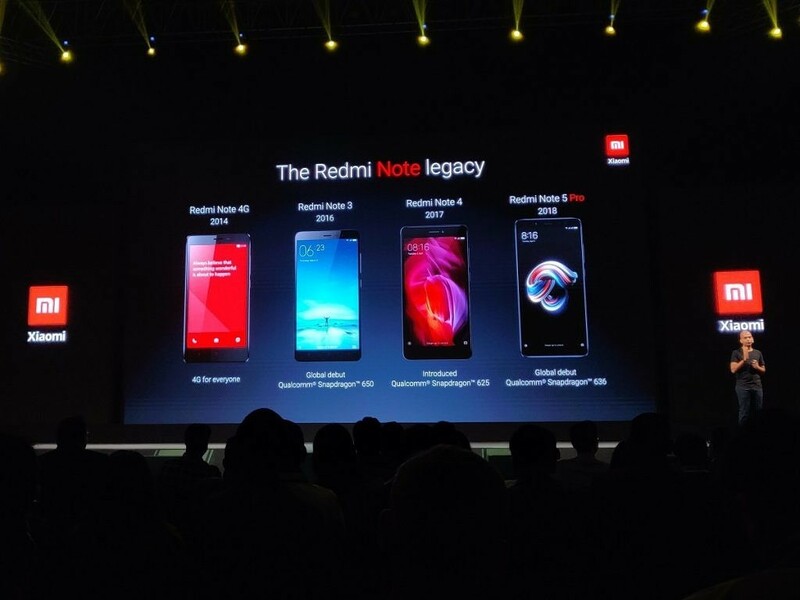 In fact, Xiaomi sold 12 Million Redmi Note devices in 2018, which is more than the total sales of Realme, Huawei, Honor, and Asus combined (though to put things into perspective, Samsung, OPPO, and Vivo are the next big sellers after Xiaomi). Xiaomi’s first Redmi Note phone in India was the Redmi Note 4G in 2014, which is credited to be one of the first phones in the country to bring 4G connectivity to the budget segment. 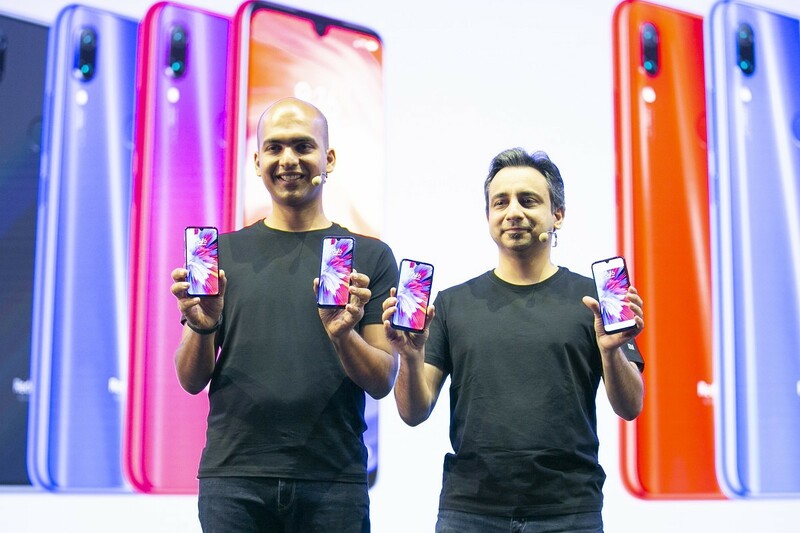 While the device was capable in its own right, it failed to really capture the market as Xiaomi was still in the process of setting itself up in India at the time. The Redmi Note 3 in 2016 was when Xiaomi truly managed to create a ripple. Xiaomi had better marketing and after-sales setup in the country, and it was in the process of figuring out how to approach offline sales. 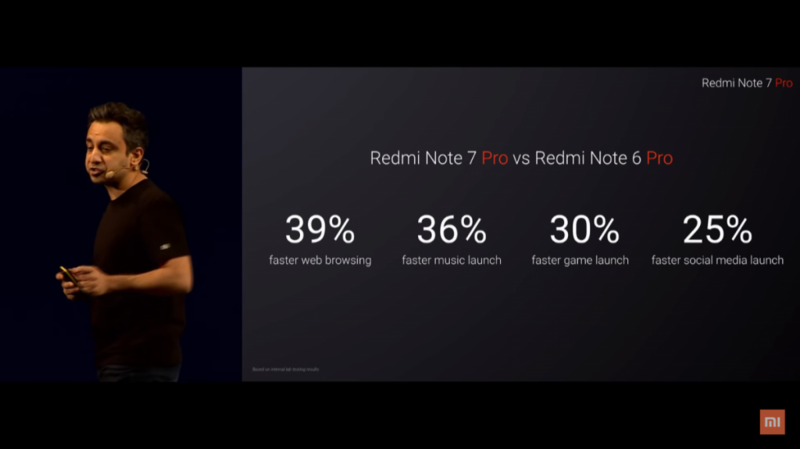 What helped the Redmi Note 3 was the included Qualcomm Snapdragon 650 in the device, a hexa-core SoC which featured dual Cortex-A72 cores that allowed the phone to handle intensive tasks with ease, and quad Cortex-A53 cores which allowed the phone to breeze through routine, low-intensity workflows with great efficiency. What really helped the Redmi Note 3 sell well in the country was the fact that Xiaomi priced it in a completely predatory manner. Starting off at ₹9,999 for the 2GB+16GB variant and ₹11,999 for the 3GB+32GB variant, the Redmi Note 3 simply left no room for the competition to survive. We called the Redmi Note 3 “The King of Low End” in our device review—a title that did not age well as the Xiaomi Redmi Note 3 ended up redefining how we bifurcate the budget segment of the market, going from price-oriented segments to performance-oriented segments. The Xiaomi Redmi Note 3 was not a low-end device: It was a solid performer on a tight budget. With its successors, Xiaomi attempted to recreate the magic and was successful for the most part. 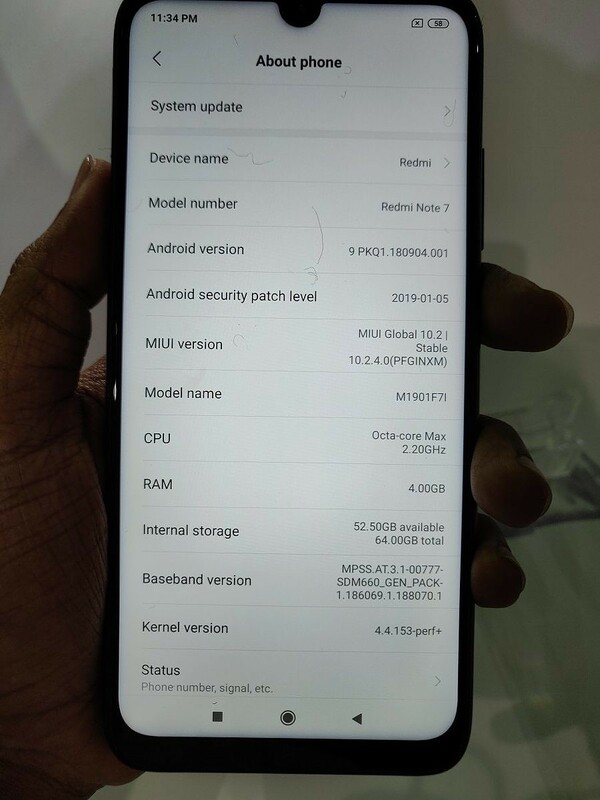 The Xiaomi Redmi Note 4 did not attempt to fix what was not broken, but it did opt for a Qualcomm Snapdragon 625 SoC, an SoC that came to be known for its superb efficiency and adoption in so many more Xiaomi devices. The Chinese OEM also managed to hover around the same price tag, giving out the 2GB+32GB variant for ₹9,999, 3GB+32GB for ₹10,999 and 4GB+64GB for ₹12,999. In our review of the Xiaomi Redmi Note 4, we noted that the biggest competition to the device was its own predecessor. The Redmi Note 4 was not bad in any way; the Redmi Note 3 was just that great. Xiaomi eventually ran out of stock with the Redmi Note 3, which allowed the Redmi Note 4 to truly shine and take the top spot as Xiaomi’s best seller. The Xiaomi Redmi Note 3 was just that great. Xiaomi followed up with the Redmi Note 5 and the Redmi Note 5 Pro. The Redmi Note 5 came with a taller display and improvements to the camera, but retained the Qualcomm Snapdragon 625; the Note 5 Pro came with the Qualcomm Snapdragon 636 SoC, dual rear cameras and an upgraded front camera. 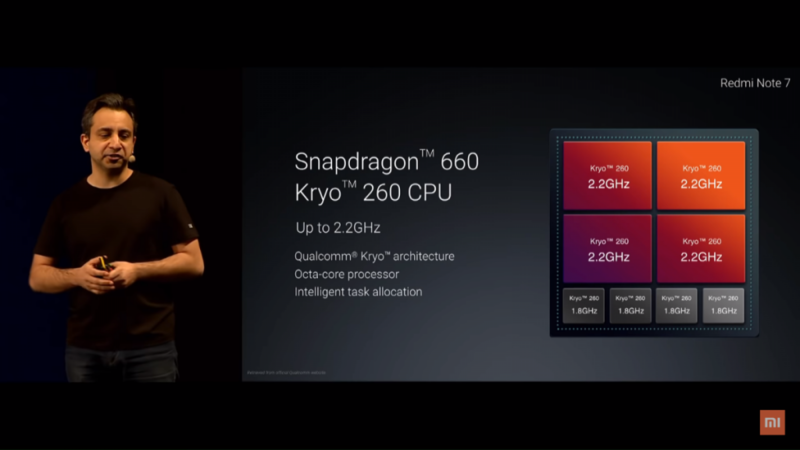 The draw with the Snapdragon 636 were its semi-custom Kryo 260 cores, a setup that consisted of 4x Cortex-A73 derivative “performance” cores and 4x Cortex-A53 derivative “efficiency” cores. While the Snapdragon 636 did perform better than the Snapdragon 625, the Redmi Note 5 Pro just could not come close to the value proposition that the Redmi Note 3 brought to the table with its Snapdragon 650. The Snapdragon 636-equipped Redmi Note 5 Pro came in at ₹13,999 for 4GB+64GB and ₹16,999 for 6GB+64GB, while the Snapdragon 625-equipped Redmi Note 5 stuck closer to the Redmi Note 3 pricing with ₹9,999 for 3GB+32GB and ₹11,999 for the 4GB+64GB variant. With the Redmi Note 7 and the Redmi Note 7 Pro, Xiaomi has discarded its “don’t fix what isn’t broken” approach as it perhaps realized its complacency and the creeping competition. The launch event was filled with quips and meta-humor about how Xiaomi was going to reuse the Snapdragon 625, but lost the shipment truck; thankfully, the products aren’t filled with either the Snapdragon 625 or the Snapdragon 636. 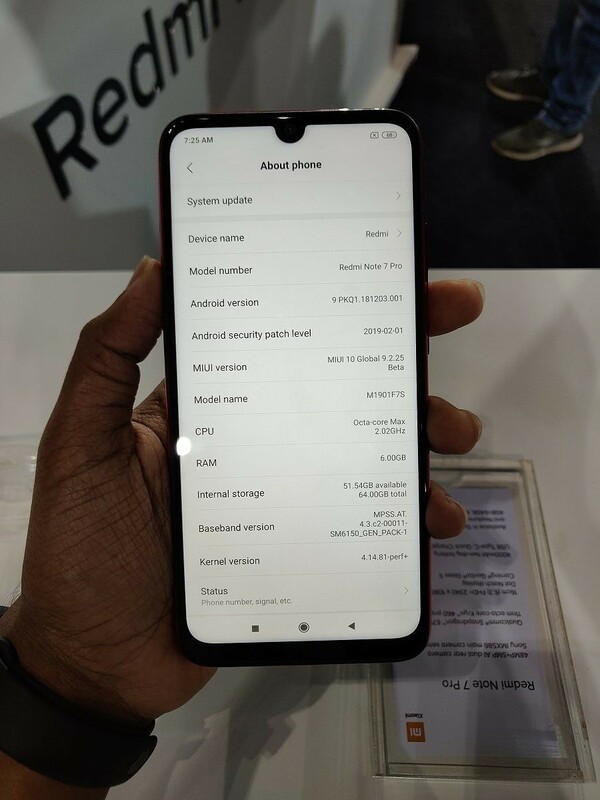 What Xiaomi has managed to do with the Redmi Note 7 (India) is not only upgrade the SoC from the Snapdragon 636 of its predecessor but also bring the price of the device down. This means that not only do you get the goodness of the Snapdragon 660 (which is basically a higher clocked Snapdragon 636 equipped with a better GPU through the Adreno 512), you get it at the price of the Xiaomi Redmi Note 3. The Xiaomi Redmi Note 7 comes in at just ₹9,999 ($140) for the 3GB+32GB (!!!) model, and ₹11,999 ($169) for the 4GB+64GB variant, which is reminiscent of what the Redmi Note 3 cost and is in stark contrast with what the Redmi Note 6 Pro costs. With the release of the Xiaomi Redmi Note 7, there is simply no reason why you should buy the Redmi Note 6 Pro, and that is what a true successor does. With the release of the Xiaomi Redmi Note 7, there is simply no reason why you should buy the Note 6 Pro, and that is what a true successor does. 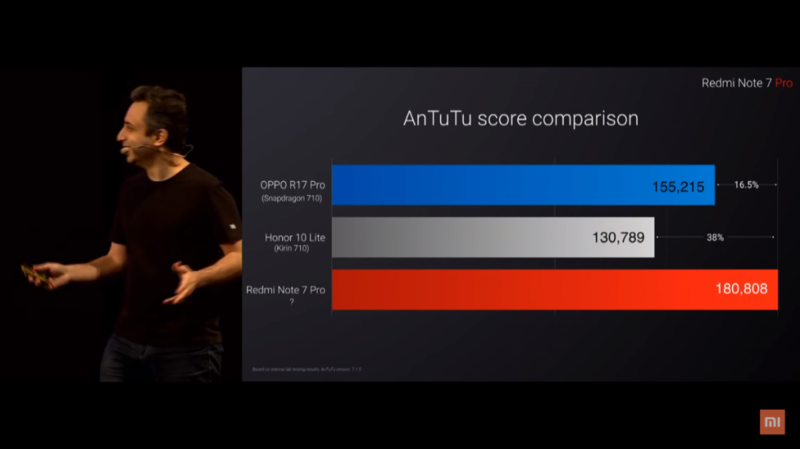 In addition to the processor bump, the Redmi Note 7 also brings in several other changes. You get a smaller waterdrop notch (but you do lose out on the second selfie camera, so perhaps that is a loss depending on how frequently you take portrait mode selfies), as well as a new glass sandwich design with Corning Gorilla Glass 5 on the front and back. The change in design essentially “refreshes” the Redmi Note lineup and attunes it more with the current market trends that also push for enough attention on the looks of the device. Yes, the midframe is polycarbonate and not metal, but because of the other upgrades, we’re inclined to give this a pass. The phones look good, and the consumers agree. The Redmi Note lineup also finally moves forward to using a USB Type-C port, which was one of my major gripes with the past two generations. The phone also does not take a step with the headphone jack or the IR Blaster, so you retain both of these as well. You still retain the ample 4,000 mAh battery, and this time, you also get bumped up to Qualcomm Quick Charge 4. Xiaomi is also throwing in some splash resistance to the device, though do note that this does not equate to complete water resistance, so do not dip your phone in water as far as you can avoid doing so. Oh, did we mention that the Redmi Note 7 launches with Android 9 Pie? Sure, you do have MIUI 10 on top, but a lot of average consumers do prefer the added functionality that Xiaomi’s custom UX skin offers over vanilla Android, so you can not really blame Xiaomi for sticking to customer preferences. With our brief hands-on time, we noticed nothing out of the ordinary with the device in terms of performance, and since Xiaomi is now a household name, the average user in India is more likely to feel familiar, at ease and completely at home with the interface. The phone also supports Widevine L1 and Camera2 API out of the box. 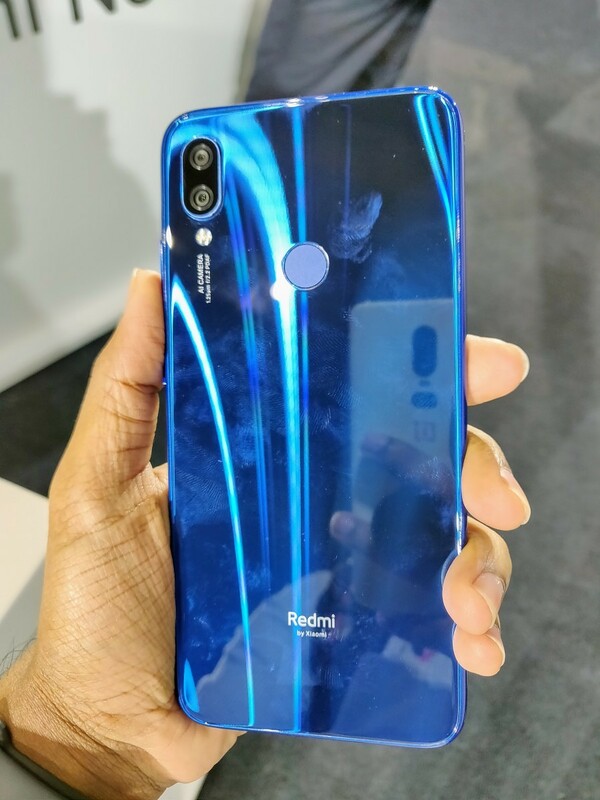 Even if you discard the existence of the Pro model, the Redmi Note 7 manages to hold its own. The key selling point of the Xiaomi Redmi Note 7 is that it does so many things right at such a low price point—so much that it creates an absolutely insane value package, much like the Redmi Note 3. If you have a slightly higher budget, the Redmi Note 7 Pro promises to sweep you off your feet. With a price of ₹13,999 ($197) for the 4GB+64GB (!!!) 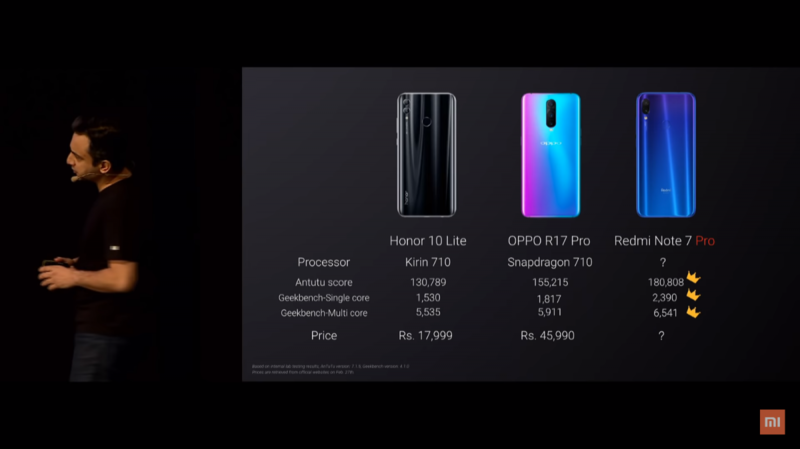 and ₹16,999 ($239) for the 6GB+128GB, the Xiaomi Redmi Note 7 Pro manages to match its predecessor in pricing, while adding in all the features of the Redmi Note 7, and then some more. The biggest draw to us is the 11nm FinFET based Qualcomm Snapdragon 675, which packs in the Kryo 460, Qualcomm’s upper mid-range semi-custom core. 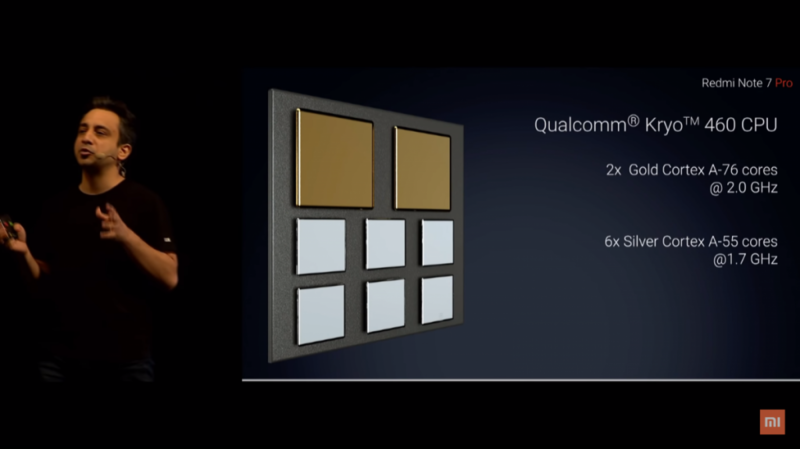 The CPU comprises of 2x Cortex-A76 cores, which is the same Cortex-A76 used in the Qualcomm Snapdragon 855, and 6x Cortex-A55 for your efficiency needs. The end result is a phone that matches up in performance to phones that are priced much, much higher. Just like how the Redmi Note 3 did. We reserve our complete judgment for our full review, but based on Xiaomi’s track record, the theoretical specifications, and our brief hands-on with the device, we are very optimistic about the performance. 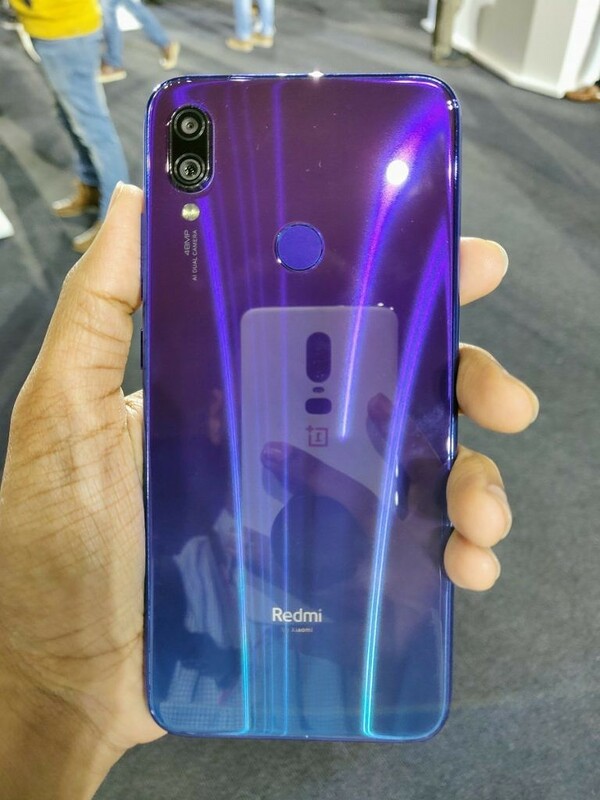 As far as design goes, the Xiaomi Redmi Note 7 Pro shares it completely with the Redmi Note 7, apart from the printed branding text. To spice things up a bit, Xiaomi is also packing in gradient colors in two color variants, while still retaining the classic black color. The next selling point, and perhaps the bigger one according to Xiaomi, is the inclusion of the 48MP Sony IMX586 on the Xiaomi Redmi Note 7 Pro. 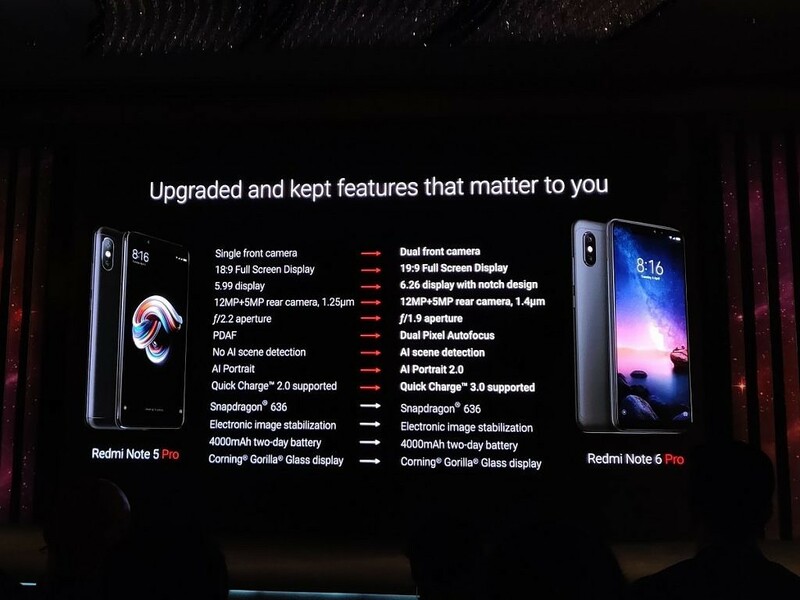 The sensor is seen on the Honor View20 in India, which for reference, starts at ₹37,999 ($535). Xiaomi really tried to impress upon the audience that the Redmi Note 7 Pro takes absolutely stunning photos, but we are not sold on this aspect just yet. The camera shots previewed during the launch event did have good detail, especially when zoomed in, but the photos also had the signature overexposure that Xiaomi phones frequently have. We are open to the possibility that the Xiaomi Redmi Note 7 Pro may take very good photos, but our very limited initial assessment points that it isn’t something that will beat flagship cameras. Since this prima facie appears to be a software limitation, perhaps future MIUI updates may be able to improve upon this aspect. Or maybe a Google Camera port, who knows. 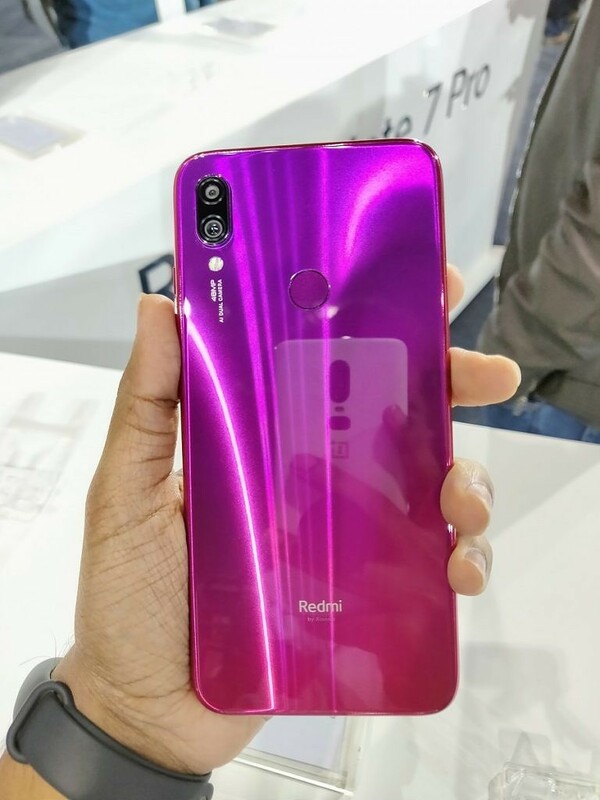 It is a good time to be an Indian looking to purchase a new budget device, as the Xiaomi Redmi Note 7 and the Xiaomi Redmi Note 7 Pro make us very happy with their pricing and the sheer value that they offer. We have waited for a few years for the true successor of the Redmi Note 3 to arrive in India, and it is finally here. 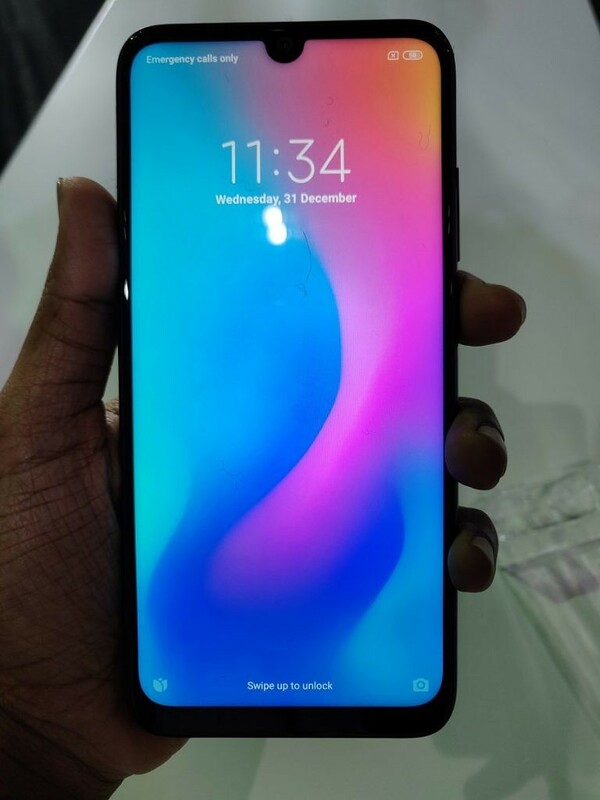 The competition as it currently exists in the country in this price segment is completely out of its breath, and all of them will have to react quickly and with great force if they plan to catch up with Xiaomi, because you really cannot argue against that pricing and value. 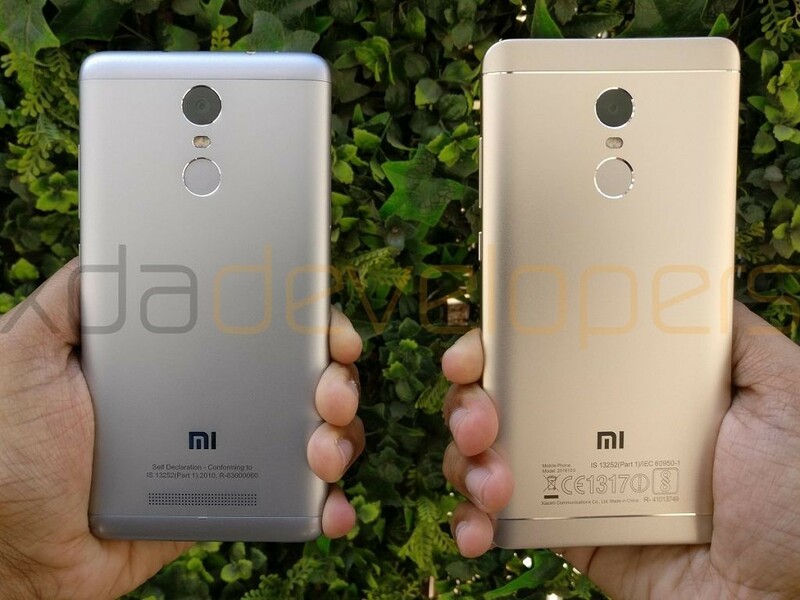 Most of the competing OEMs will just not be able to, finding themselves staring at a Redmi Note 3 déjà-vu.